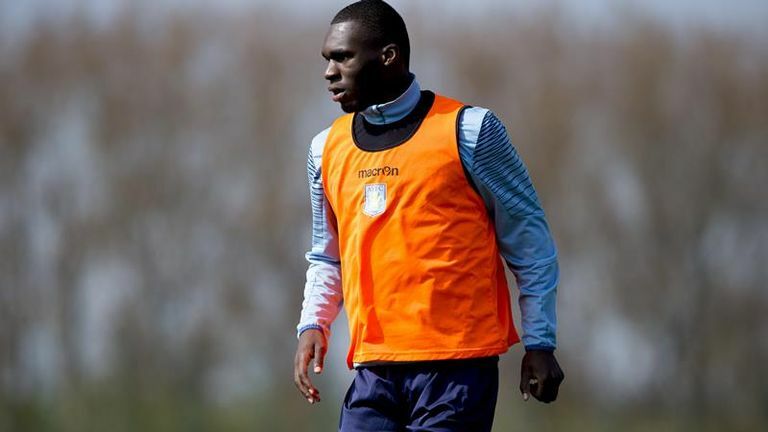 LONDON (Sporting Alert) — Aston Villa have no intentions of selling Manchester United reported target Christian Benteke, his manager Tim Sherwood said on Thursday. Benteke has been receiving a lot of attention this season and has made the shopping list of several leading clubs, looking to add a proven goalscorer to their roster. The Belgian forward said recently that he will sit down with manager Sherwood to address his future with the club at the end of the season, with several reports in England suggesting that he will likely push for a big money move to one of the top clubs in Europe. Sherwood revealed that he wants to keep one of the club’s “assets” but added that he will not stand in his way if the striker asked to leave in the summer transfer window. Manchester United, Arsenal, Tottenham and now Liverpool, are all heavily linked with Benteke, and Sherwood, although sidestepping the player’s value, warned that he will not be a cheap capture. He said on Sky Sports: “It’s good news that people are talking about Christian again because he’s scoring goals and if he’s scoring goals for us, we’re happy. “I’ve no idea what he’d cost, because I don’t want to sell him. It would have to be a lot of money for anyone to take him from us. “He’d be too expensive for a great deal of clubs in the Premier League. But we’re not looking to sell our assets and he’s certainly one of those. It is understood that Benteke, who joined Aston Villa in 2012, is wanting to play in the Champions League next season, and he knows that his current club, who is trying to fight off relegation, will not be playing in Europe anytime in the near future. In the meantime, Borussia Dortmund have confirmed that Real Madrid, Bayern Munich and Manchester United target Ilkay Gundogan will not sign a new contract extension with the club. Gundogan’s current deal with the German club expires next season and Dortmund, who will not have Jürgen Klopp has its manager next season, will certainly be looking to sell in the summer transfer window. The Bundesliga outfits were desperate to iron-out a deal with the German player, who was signed by Klopp, but the central midfielder has already made up his mind about leaving and the club says the 24-year-old would be sold before he can walk on a free transfer in 2016.